Our engineering manager worked to design a die transfer cart for a large automotive parts manufacturer in northern Ontario. They needed this cart to be able to steer around fixed objects in the plant and the customer was concerned about how the cart would safely operate, accurately turn, and not cause any congestion. The engineering manager at Source Industrial began doing what he does best; coming up with a plan to build a custom piece of equipment to solve the customers problems. He began with a battery transfer cart and equipped it with the following features; long lasting battery, safety sensors around the perimeter of the cart, powered steerable swivel caster wheels (so it travels and turns similar to a fork lift), warner lights and buzzers, pendant controls for close operation, and also a heavy duty top deck. After the delivery and training was completed our customer was thrilled with the results and noted that this equipment is exceeding their expectations. 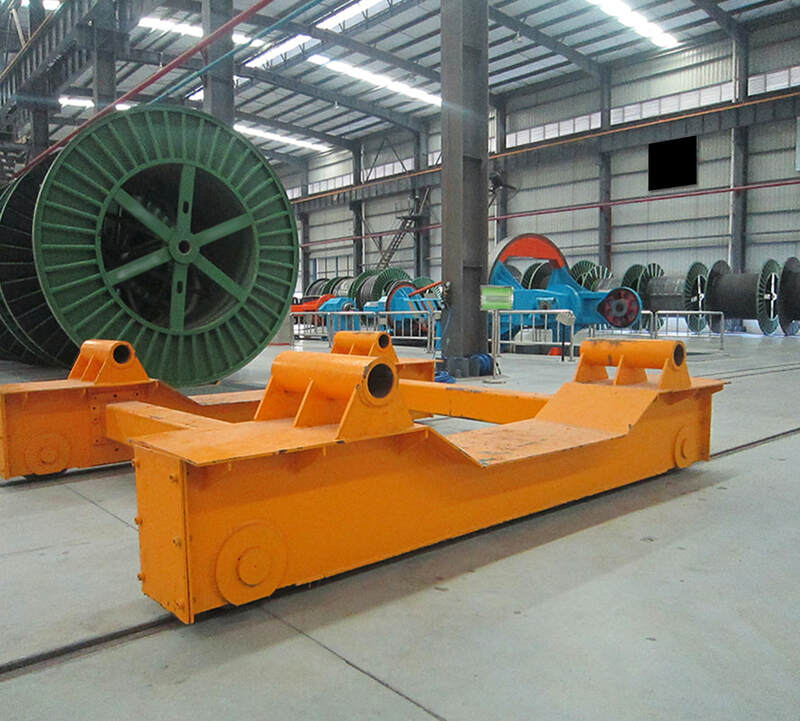 In addition to the auto parts manufacturing industry; our staff have also worked on designing custom carts for the wind mill tower renewable energy industry, large mining companies, paper manufacturing mills, steel processing plants and many other industrial industries. Be sure to give our rail transfer car experts a call today by dialling 1-866-829-3344 and they will be happy to assist you with any questions or inquiries that you may have. ​Our team can also build and install monorail cranes to suit all of the needs of your facility. Is your company in need of a coil transfer trolley or cart? If they are then we’d be glad to learn more about your individual process and provide insights into how we can manufacture a new piece of equipment that will effectively alleviate any bottlenecks that you may be currently experience within your production. We understand that there is more than one way to move material and products. That is why we work closely with our customers to come up with the most ideal solutions for them.